Tactics are important in any team sport and Australian Rules football is no different. This particular sport is about attempting to get the ball from the opponent. This involves combined handpassing, kicking and running with the football. Once one player gets the ball, he will try to deliver to his team player as long as that player is close to the goal post. The first AFL rules were officially initiated in Melbourne in 1858 to help cricketers to keep fit during the winter. This makes the AFL the football game the oldest and most codified of any other football game that is currently being played. Some people still believe that Australian Football was inspired by how the local Aborigines played in western Victoria. Of course, they did play a similar sport made with a kangaroo hide ball, which resembles the ball used in the AFL rules football. Still some people continue to debate the similarities. So now you know that Australian Rules Football was initiated in 1858, but what about the modern AFL? Did you know that it has several teams from that era still playing in the Melbourne Football Club? It is considered the oldest sporting club professionally playing football in the world. Isn’t that amazing? This league was formed as a breakaway from the better football clubs. By 1925, it expanded to include a dozen suburban clubs in Melbourne, even though the original football clubs are still operating except South Melbourne Football Club, which left Melbourne for Sydney, Australia in 1982. 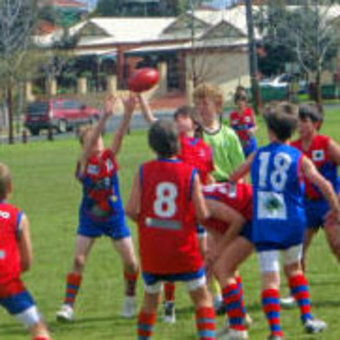 Even though, Australian Rules Football is a sport for spectators in Australia, international amateur teams have increased where players compete in different countries such as Japan, China, Denmark, Great Britain and the United States. If you are a parent living in Australia or any country that supports the AFL, you can get your children involved. Get more information about training balls for AFL from That Training Ball.